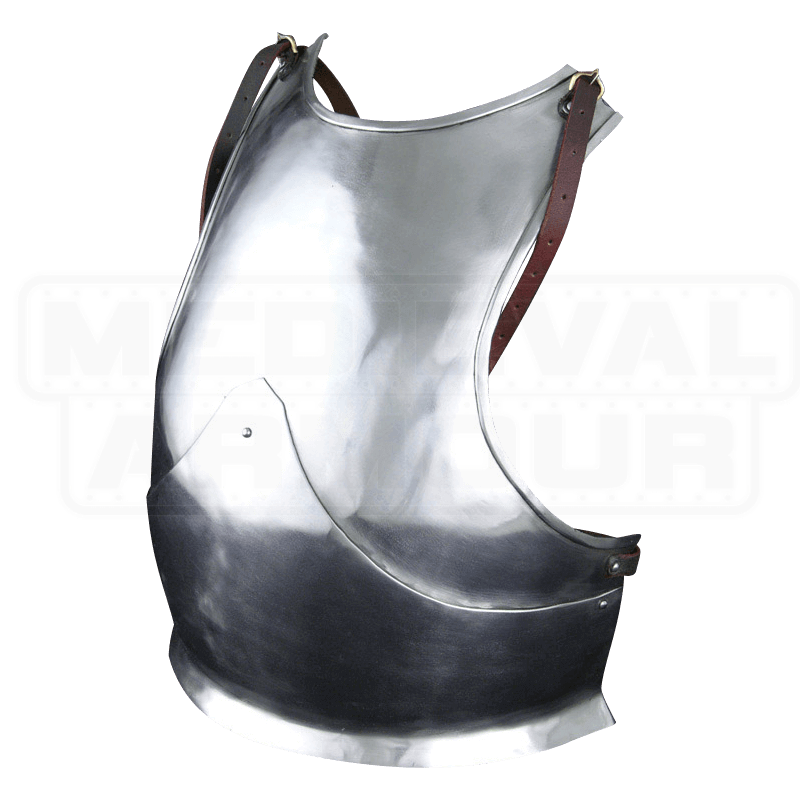 The European Breastplate is one of the most essential parts of a suit of armor. It protects most of the bodies vital organs. In fact, breastplates are so important, they were used all the way into World War I. 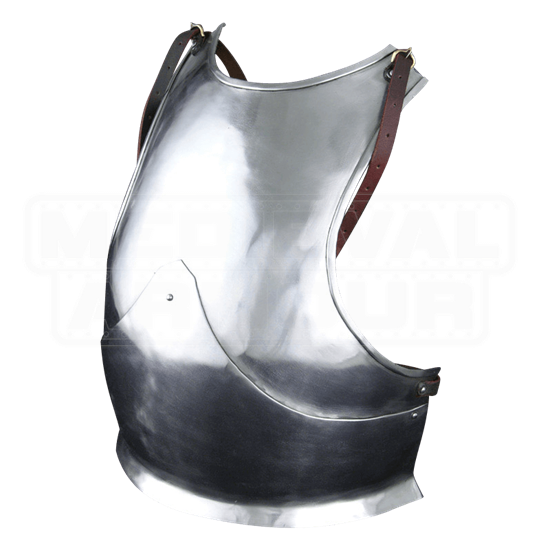 Our breast plate is made of 16 gauge steal with leather straps. The leather straps feature buckles for adjustability. Available in a Standard size and does not include the Back Plate.